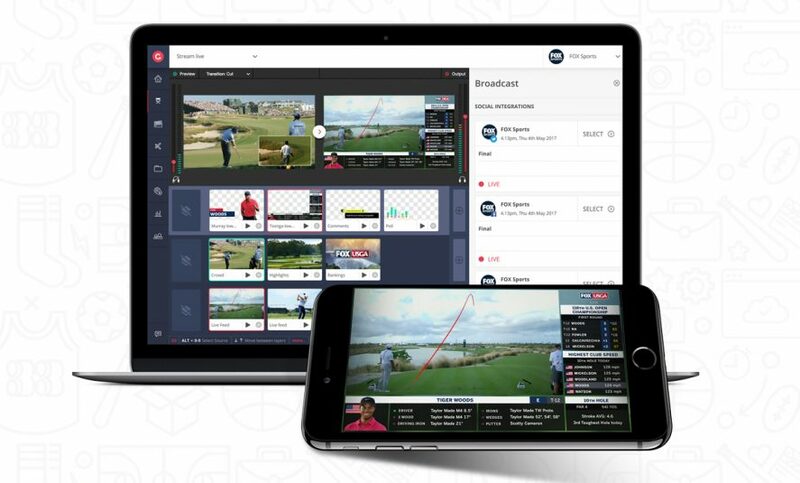 For the 2018 U.S. Open Golf Championship, Fox Sports has teamed up with cloud-based video platform Grabyo and live-graphics platform Singular.Live to deliver an entire web-based production and digital viewing experience for golf fans watching through the Fox Sports Go and the Fox Sports App. The Fox Sports digital team is making use of Grabyo and Singular.Live to deliver Featured Tees from five holes across the course. With both platforms controlled via web browser, the Fox Sports digital team will deliver Featured Tees, a live broadcast to Fox Sports GO and the Fox Sports App from five holes across the course. The broadcast will feature live graphics and scores from the tournament and will incorporate live data and stats. The combined platform will automate the on-screen graphics and will be delivered by Grabyo’s live product, Grabyo Producer, to viewers on the Fox Sports OTT platform. Singular.Live, a browser-based live-graphics–authoring platform, has developed a bespoke control application for the U.S. Open, making it easy for the Fox Sports digital teams to incorporate live, data-driven graphics on the broadcast. The custom graphics are designed to be viewed on mobile first, following the trend of maximizing viewing space on smaller screens, allowing for play lists, player graphics, headshots, and sponsor idents. With an increased need to offer audiences more flexibility and choice for live sports coverage, Fox Sports’ digital team is using its OTT platform to extend the broadcast experience to fans across digital and mobile devices, providing choice and viewing options not available on linear TV. Users of Fox Sports GO and the Fox Sports App will have complete control over which hole and players they view throughout the tournament at Long Island’s Shinnecock Hills Golf Club. By collaborating with Grabyo and Singular.Live, Fox Sports can create a digital broadcast that is independent of the linear-TV stream, significantly reducing reliance on traditional broadcast infrastructure. The demand for more content and enhanced experiences for fans is driving the growth in cloud-based production, giving the Fox Sports digital team more flexibility to produce content for its OTT products. Fox Sports will also make use of Grabyo’s live-clipping product, Grabyo Studio, to bring audiences key moments, highlights, storylines, and reactions across multiple platforms throughout the tournament. With mobile video consumption continuing to rise, engaging fans on social and digital platforms in real time is vital to meet the needs of modern golf fans. By creating a separate viewing experience for fans online, Fox Sports is looking to activate both new and existing golf fans by offering them the flexibility to choose when, how, and where they watch the 2018 U.S. Open Championship.